In the 1920s and 1930s, Pontypridd had a number of single-handed practitioners, who usually consulted in their own premises attached to their residences. These were mainly in Gelliwastad Road, which was the Harley Street of Pontypridd. Initially, any grouping together was to cover each other's brief holidays and for some weekend work, but generally, the doctors practised independently of each other. Most of the doctors contributed to the running of the Cottage Hospital, and each brought a particular skill to promote its function, such as rheumatology, anaesthesia and radiology. They were also the Medical officers, serving the local heavy industry. At the turn of the century, Dr Edward Evans practised at number 20 Gelliwastad Road, and subsequently his son, Dr Gwyn Evans, who qulified in 1928 bought number 5 Gelliwastad Road and practised from a new surgery there. Dr Morgan Rees had his home and surgery at number 4 Gelliwastad Road, and he was succeeded by Dr Edward (Teddy) Rees. Dr Kingsley Lewis practised from number 1 and that practice was taken over by Dr A Edwards subsequently. Around 1940 Dr Gwyn Evans and Dr Edwards formed a loose liaison to cover each other's holidays, and in 1950 they were joined by Dr Grifffiths Jones who had come into General Practice from practising rheumatology in the local hospital. In 1970 Dr Brian Copley joined Dr Gwyn Evans in partnership and was replaced by Dr Ian Bassett, Dr Gwyn Evans retiring in 1970. Sadly Dr Bassett died in 1975 but he had just combined that practice with Dr Feiner and Dr Fudge. Dr Feiner had come to Pontypridd in the early 40s, around the time Dr Gwyn Evans enlisted to serve his country in World War II, leaving Dr Edward Rees to run both practices. After the war Dr Feiner was joined by Dr Fudge and later by Dr Randall. In the early 70s they moved to the newly built Health Centre in Bridge Street, Pontypridd. Dr Linda Willis replaced Dr Bassett in the partnership. Over the next few years they were joined by Dr David Williams and Dr P S Lewis. Later came Dr Martin Davies whose inspiration it was to develop the dilapidated Eglwysbach Memorial Church into a surgery. Having moved into the new premises in 1992, the renamed Eglwysbach Medical Practice gained Dr Antonia Wigley and Dr Peter Brooks, and, with the retirement of the older practitioners, Dr Mark Brown and Dr Marian Lewis. In the 2000s, Dr Nigel Brown joined the practice and since 2013 Drs Sian Thomas, Dr Oliver Williams and Dr Zoe Morris-Williams have also become partners. Dr Marian Lewis retired in 2017; and the practice merged with Ynysybwl Surgery in 2018, taking Dr Swarna Bhat into partnership. The main surgery of Eglwysbach Medical Practice is based in a former welsh Weslyan Methodist chapel 'Capel Coffadwriaethol Eglwysbach'. The chapel was completed in 1898 as a memorial chapel to the Rev John Evans. As well as being a Minister of Religion, the Rev John Evans was a poet and took his Bardic name 'Eglwysbach' after his birthplace in North Wales. John Evans was a Welsh Wesleyan Methodist preacher supporting his congregation throughout the hard times of the Industrial Revolution in South Wales. Living conditions and wages were poor with workers pouring into South Wales valleys from other parts of Wales, England and Ireland looking for work. The coal industry provided dangerous working conditions and men who were injured at work were unable to support their families. Work was originally started on the building of Eglwysbach by a local builder, William Morgan, known as Bili Groesfaen, and was completed by his son. 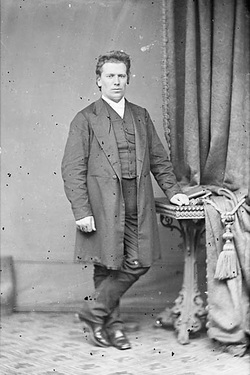 William Morgan also built St Catherine’s Church, the Parish Church of Pontypridd, and Penuel Chapel (now demolished) as well as many other local chapels. With Rev John Evans’ emphasis on caring for parishioners, it is fitting that, following the closure of the chapel as a place of worship towards the end of the 20th century, the building should have been rescued from dereliction to become a Medical Centre. Eglwysbach Medical Practice now consists of 6 partners and 5 associates serving a practice population of approximately 15,000 patients. The practice is well respected in the area and, amongst its other activites, is involved in the training of future general practitioners. The renovation and preservation of the building was expensive and the Partners are grateful for a grant from CADW which helped maintain the exterior elevation and interior plasterwork. The project won a Prince of Wales award in 1992 and Eglwysbach is now a Grade II listed building.